Staying cool and content on even the hottest summer days is much easier with a working air conditioning unit. At Batjer Services, we offer all the help necessary to keep your home or business comfortable, even when the temperatures reach 100 degrees. Batjer Services is a locally-owned-and-operated HVAC business serving homeowners and business owners in Abilene, TX. We have years of industry experience and we are committed to your complete satisfaction. 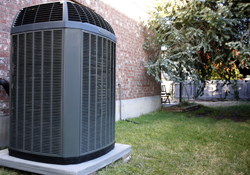 Customers continue to choose us for the most reliable HVAC services including A/C replacement, A/C repair, heater maintenance, and commercial heater installation. 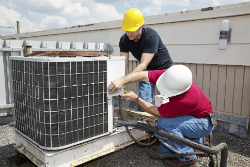 At Batjer Services, we aim to keep you cool on the hottest summer days and warm on the coolest winter days. From spring and summer to fall and winter, we’ll keep you comfortable indoors all year-round. Our service technicians can provide maintenance, repair, installation and replacement service, no matter what you need. If your system is beyond repair, choose from our selection of brand name products including Honeywell Wi-Fi thermostats, Trane, AAON, Daikin, McQuay air-cooled chillers, and many others. To ensure you won’t have to worry about paying costly repairs frequently or having trouble with your system, make sure you choose one of our quality, affordable products. Don’t Delay; Call Us Today! From keeping your family comfortable indoors from the kitchen to the basement to keeping your employees comfortable from their cubicles to the break room, Batjer Services is here for you. When your system suddenly stops working, or you want maintenance performed for peace of mind, call on us. 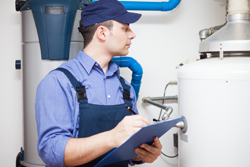 We’ll show you what more than six decades of experience can do for you and your heating or cooling system.